Bulldogs raised over $1600 $2000 skating for Danny Did... nicely done boys! And got a News Cameo along the way! Still Time to Donate Here! Coach Sam Fields is named Head Coach for the Chicago Bulldogs 2005 Bantam Major CSDHL team! Coach Rob Messner is named Squirt Hockey Director and Head Coach for our Central States and NIHL Teams. Eleven year NHL'er, Coach Joe Corvo, who will be entrusted with our Bantam and Midget Levels. The Chicago Bulldogs are the ONLY Central States Member Club to advance ALL 5 CS Teams to the Playoffs 2 Years in a row! ...2017-18 and now for 2018-19 with a hefty 70-35-20 combined record! And, only 2 clubs advanced all teams to the playoffs this season... the Bulldogs are one of them! Congratulations to all Teams and Coaches on this awesome milestone! The official partner in training with the Chicago Bulldogs Hockey Organization: Offering sport specific training for teams, small groups, or individuals of all ages. Heartland Performance Training offers top of the line training for the athletes that really want to get better and train at a higher level! 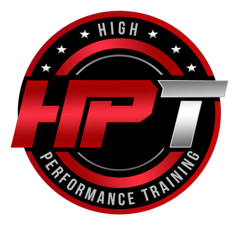 At HPT we focus on speed, strength, agility, explosiveness, balance, stability, and much more! Call or email today to sign up for a FREE trial session! Come train with the best to become the best, at Heartland Performance Training!